Enrich your stay with a wide selection of activities that explore the region’s beautiful unspoilt wilderness. 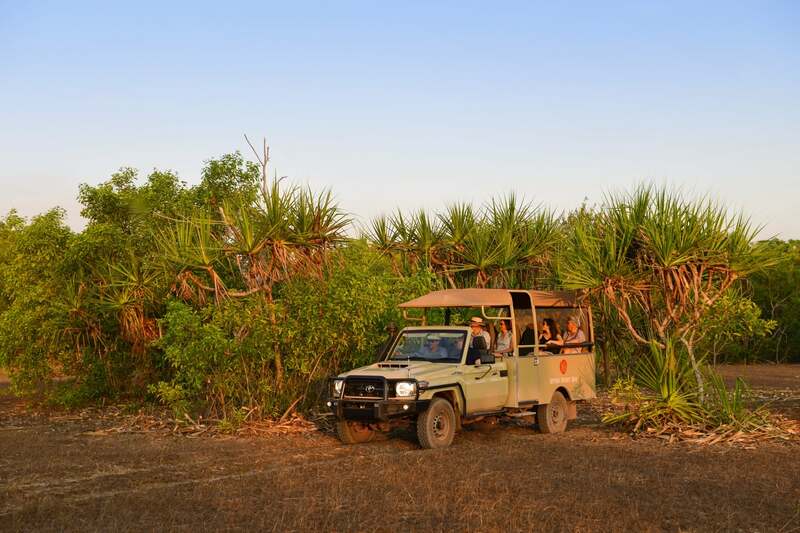 Guests have access to marine adventures, historical tours, wildlife encounters and nature walks. Or simply relax in the palm-fringed pool! 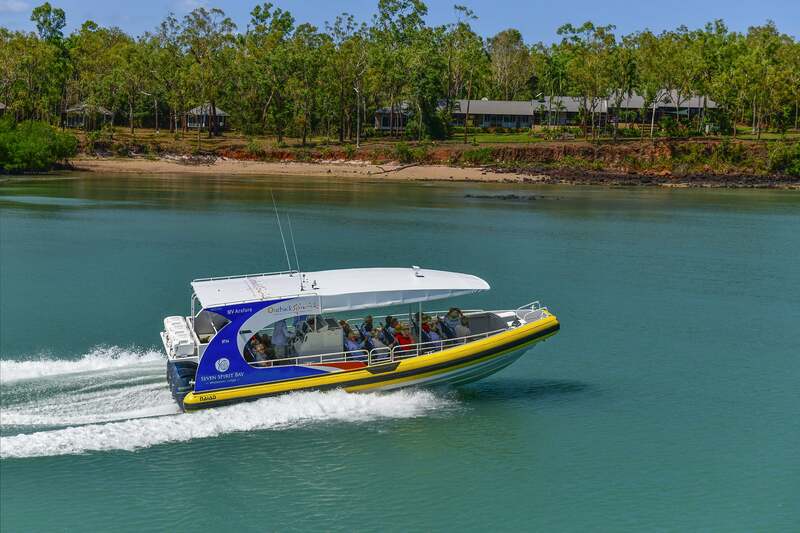 Discover the beautiful turquoise waters surrounding Seven Spirit Bay aboard the lodge’s specially designed vessel ‘MV Arafura’. 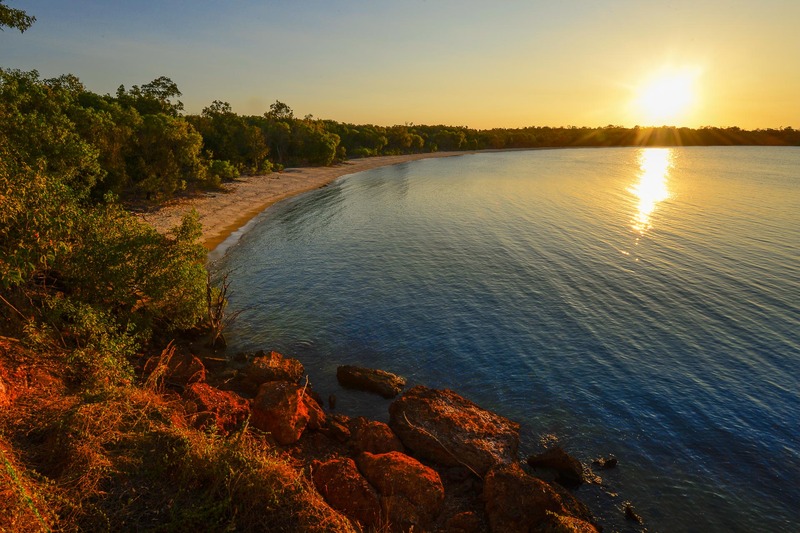 Absorb the magnificent white beaches, rocky red cliffs, coral reefs and forested wetlands. 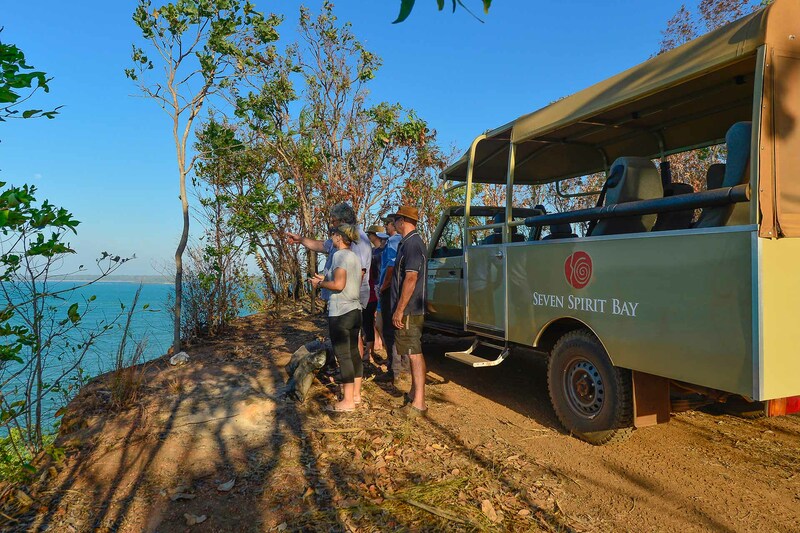 Explore the rugged Cobourg Peninsula by open back 4WD safari, including visits to Rainbow Beach, Vashon Head and Nipa Palm Gallery. 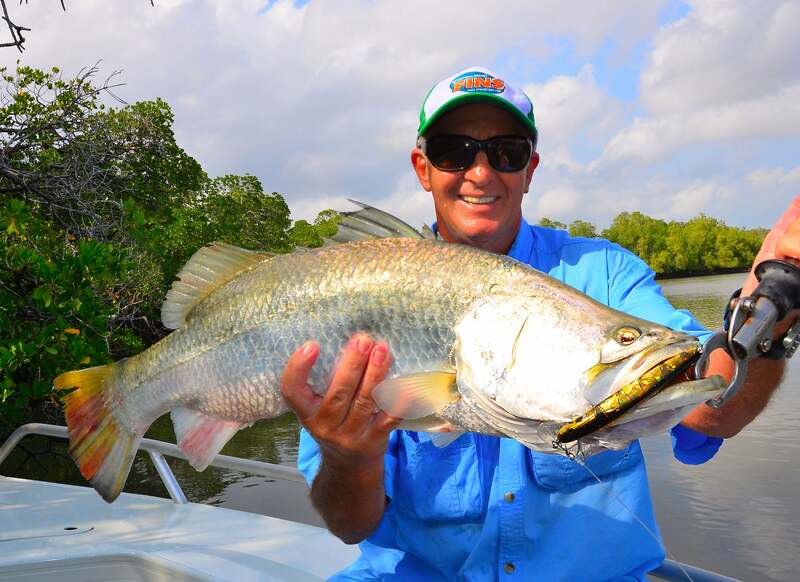 Board the lodge’s advanced fleet of expedition boats with knowledgeable guides for a fishing adventure in the Cobourg’s stunning marine sanctuary. 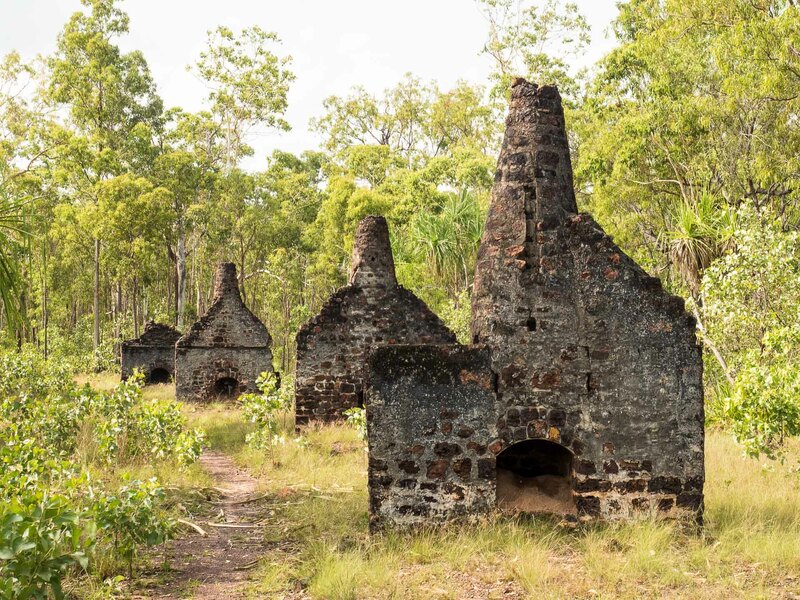 Take a fascinating journey back to 1838 on a tour of historic Victoria Settlement, Port Essington and learn about early British occupation. The remote coastal estuaries and mangroves of the Cobourg Peninsula are ideal for mud crabbing. 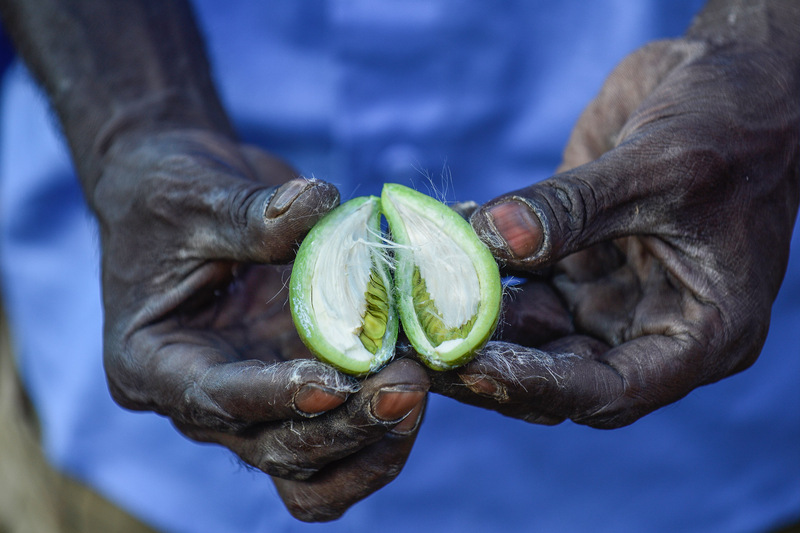 Join our experienced guides and visit the region’s best spots, while also learning about good bush tucker. Garig Gunak Barlu National Park is a protected Ramsar conservation site and a unique wetland of biological diversity. More than 200 species of bird populate the marshes and forests and make for incredible birdwatching. The National Park consists of a mosaic of sandy beaches, dunes and associated coastal grasslands. Explore the flora and fauna of this World Heritage Listed habitat on guided nature walks. An abundance of wildlife inhabits the estuaries and turquoise blue waters of the Cobourg Peninsula. 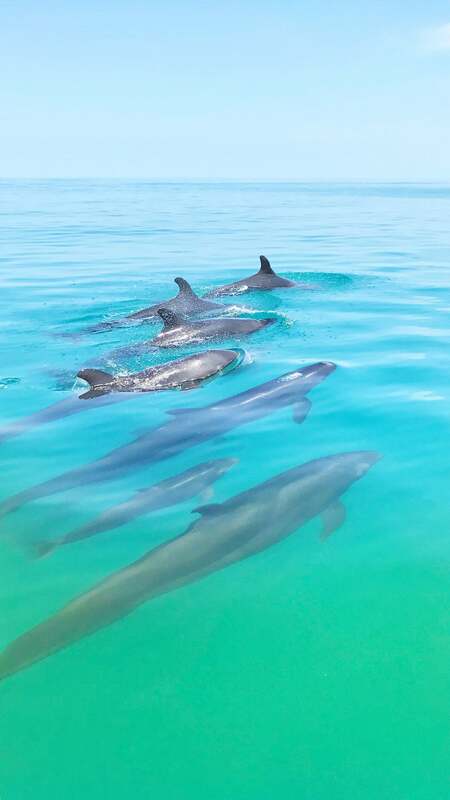 Saltwater crocodiles, manta rays, dolphins and endangered dugong form part of the vibrant marine life, whilst buffalo and banteng cattle still roam the bush.